Don’t let the pressure of daily life take control. 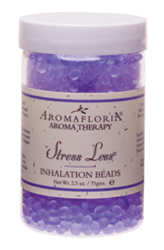 Peaceful aromas of lavender, chamomile and sage offer refuge. Discover instant relief for the active life. Inhale, exhale, relax.